Mr.Carlos Ghosn,62, one of the best-known leaders in the automotive industry, is stepping down as CEO of Nissan after serving 18 long years. Born in Brazil to Lebanese parents and educated in France, Mr. Ghosn is revered in the global auto industry for engineering Nissan’s comeback and its alliance with Renault. The decision to step down as the CEO was made after he took over responsibility for Mitsubishi Motors. German car maker Nissan Motors executive positions have changed as the company announced the resignation of Carlos who served for a long time. Ghosn announced that he worked to Nissan for last 18 years to build the business and the team with a strategic vision. Mr. Ghosn, will hand the reins at Nissan in April to Hiroto Saikawa, who is recently appointed co-CEO. 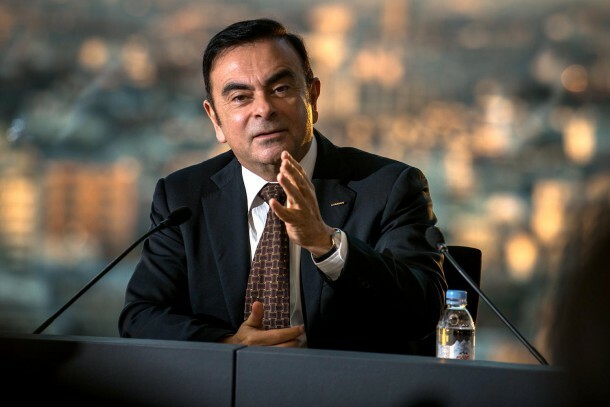 Ghosn will continue as chairman of the board till the management change takes place on April 1. In a recent Nissan general shareholders meeting, he said that Hiroto Saikawa will be good CEO. Ghosn will be replaced by Nissan’s co-CEO Hiroto Saikawa, who has risen through the ranks at Nissan since joining the Japanese automaker in 1977. Until 2016, Saikawa was Nissan’s “chief competitive officer” and he is currently chairman of the Japanese Automobile Manufacturers Association.